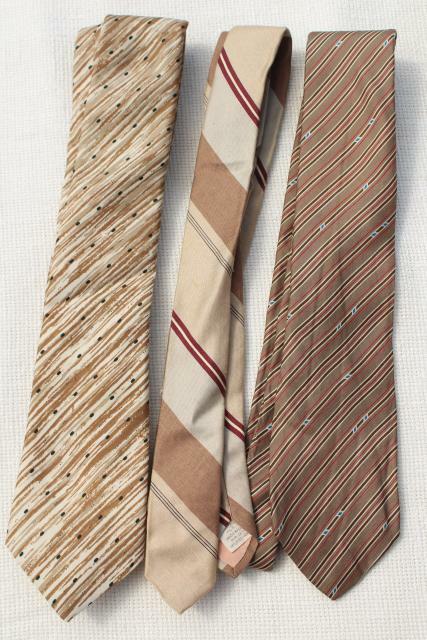 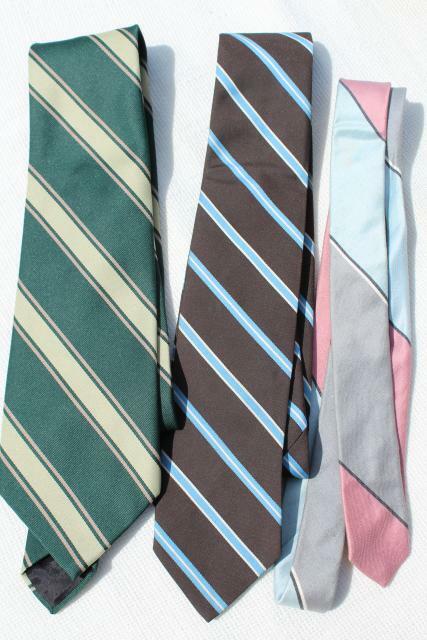 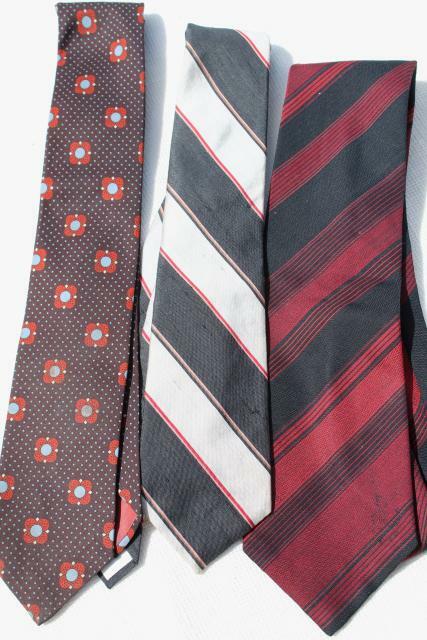 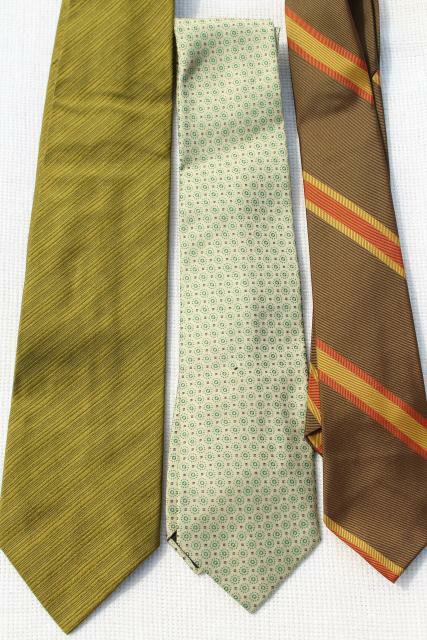 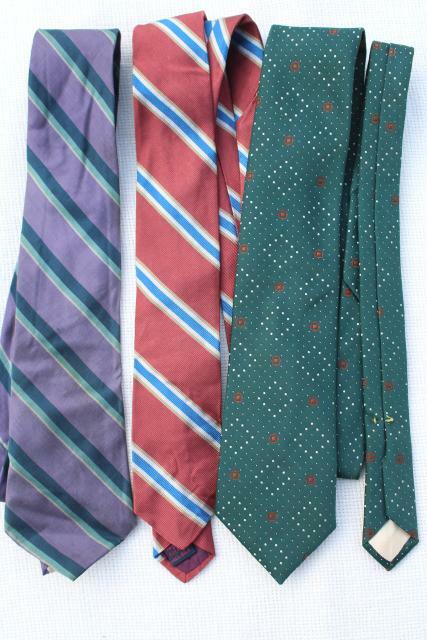 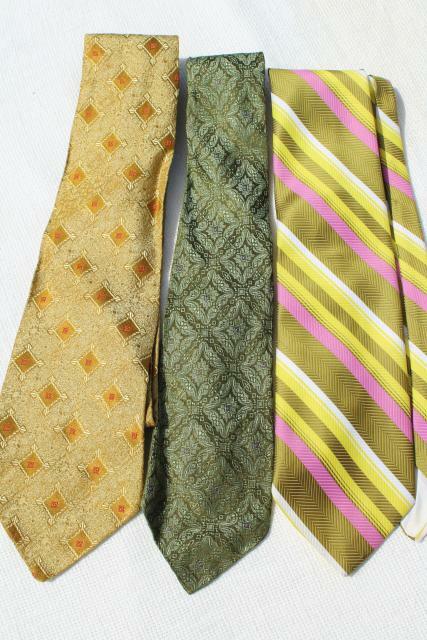 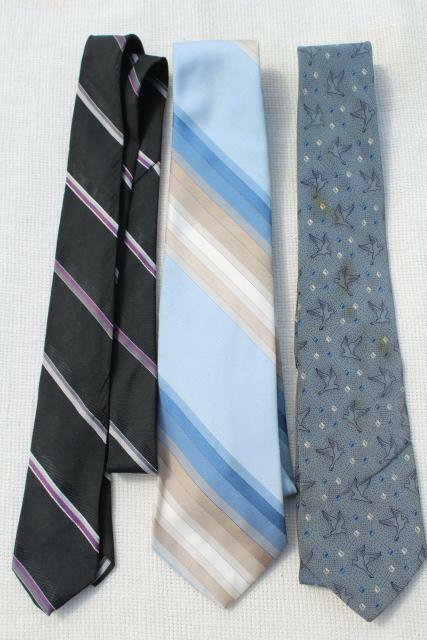 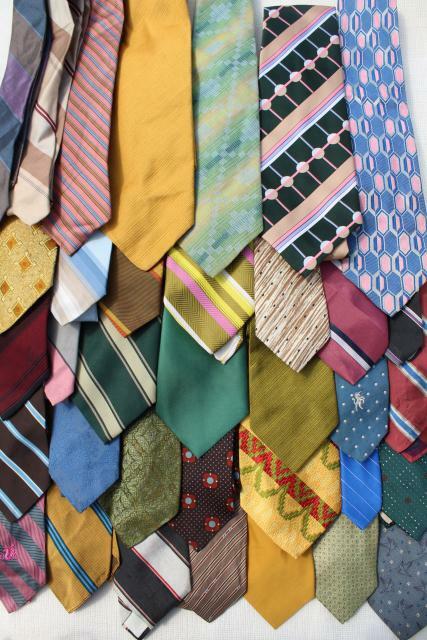 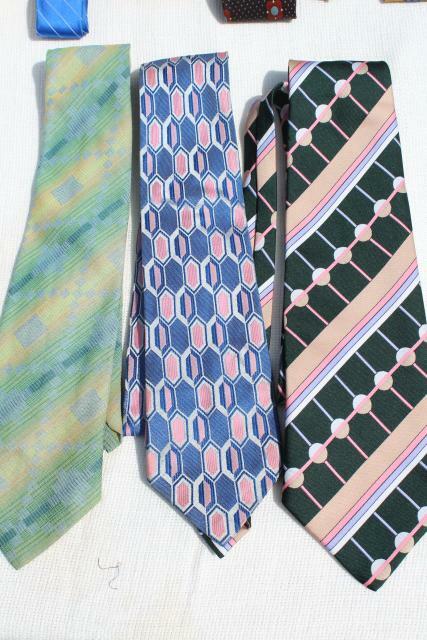 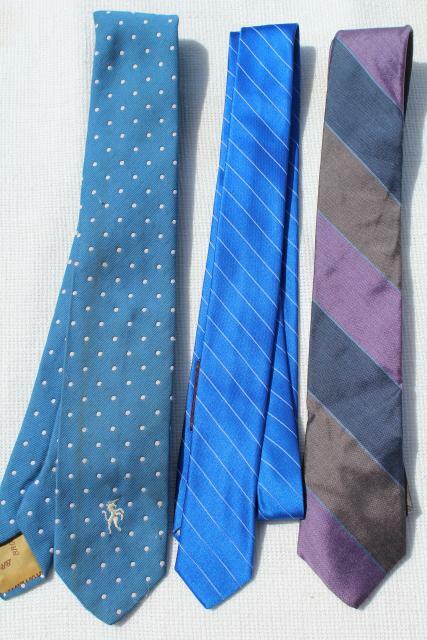 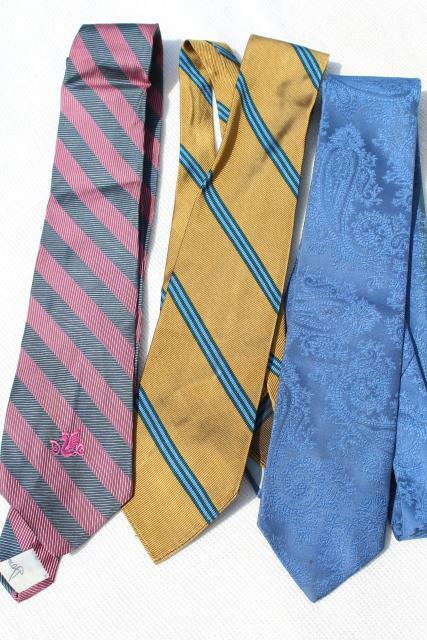 Estate lot of 36 assorted 60s and 70s vintage men's ties - most worn, and most with a little discoloration or a spot or two. 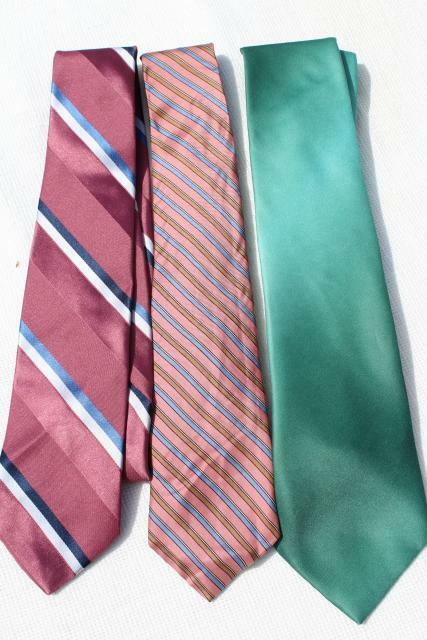 Some are silk, some are acetate or polyester. 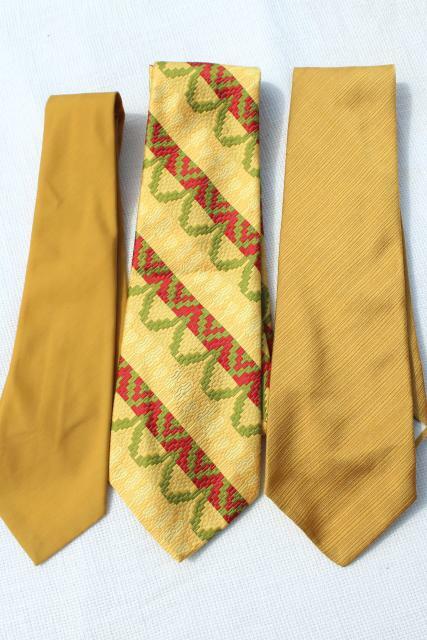 There's some great really retro colors and designs here!